Mega Sale! 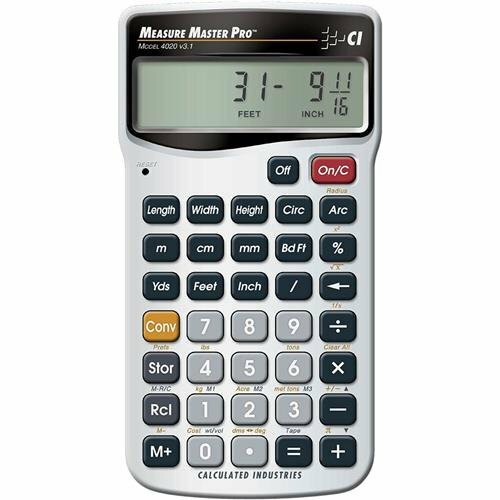 Save 27% on the Calculated Industries 4020 Measure Master Pro Measurement Conversion Calculator by Calculated Industries at Elect Forum. SKU: DOBA-CAL4020. MPN: 4020. Hurry! Limited time offer. Offer valid only while supplies last.